The new Version 2 system upgrade of the Roland Octapad SPD 30 expands the onboard kit and phrase libraries, and add powerful new features and functions. Roland’s original Octapad profoundly changed the landscape of electronic percussion. The size of a briefcase, the Octapad offered drummers and percussionists the equivalent of an entire electronic rig in one self-contained unit — a new level of convenience and expression. Today, decades later, an exciting new chapter in Octapad history begins. The SPD-30 blends the world’s most essential sounds with the latest triggering technology in a road-tough package that’s ready for the most demanding performers. Forty-nine exciting new kits have been added to the Roland Octapad SPD 30 for even more creative possibilities. Use the OCTAPAD as a compact drum set, play dynamic orchestral percussion, or explore traditional world percussion and melodic instruments from India, the Middle East, Africa, China, and Latin America. * You can back up your own original Roland Octapad SPD 30 kit data and import it into Version 2. 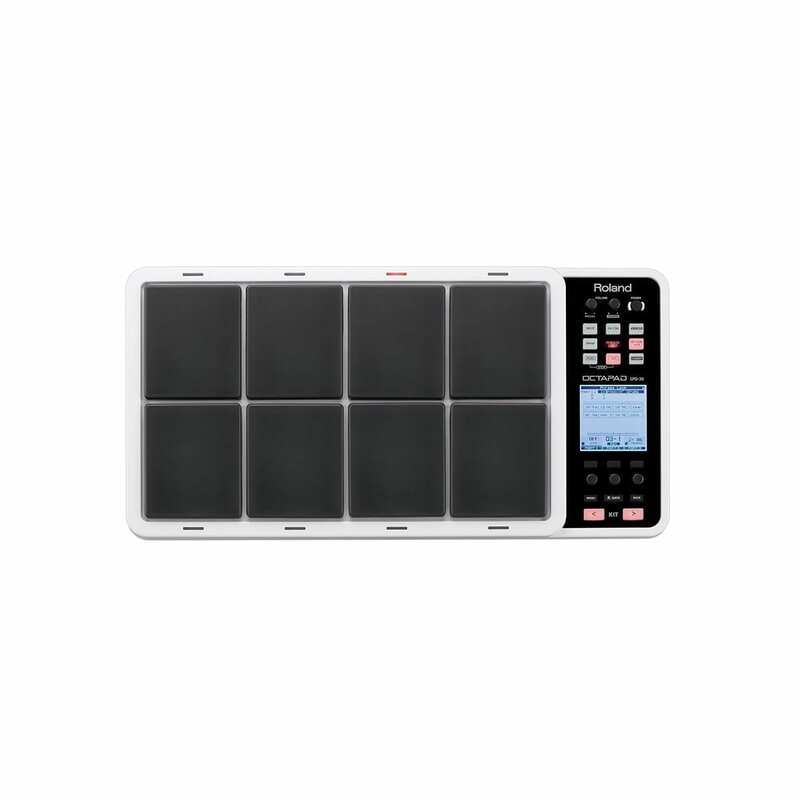 A new Output Gain function has been added to increase the overall output of the Roland Octapad SPD 30. It provides a +6 dB boost when a stronger signal is needed.